I am surrounded by a lot of mamas each week. More specifically I teach yoga to a lot of mothers. Soon-to-be moms in Prenatal Yoga, New moms with their new babies in ‘Baby and Me’ Yoga and moms with their older children in Family Yoga. I also teach moms practicing on their own in my Vinyasa classes. My own mother is a very kind spirit. She shares my excitement and sorrow almost everyday over the phone (she lives in Kansas.) I miss her, but she is always close to my heart. My grandmother is a vivacious lady and a huge inspiration to me. I hope to live a life as rich with love and compassion as hers. One of my best friends in the world is one of the strongest mothers I know. She has comforted and nursed her beautiful baby Olive over the last seven months as her baby fought cancer. She stayed with Olive day and night and kept her as comfortable and protected as possible. Mama Maggie is amazing. I am blessed to have all these mothers in my life. This next passage is from a book I am re-reading, ‘Bountiful, Blissful, Beautiful’ by Gurmukh. It is a prenatal yoga book but I recommend it to all women. Sending love to Olive’s family during this dark time. Olive is a bright new angel who was too good for this world. Maggie’s steadfast devotion to her child was incredible. 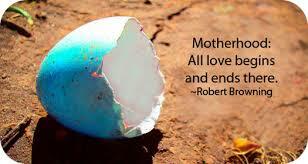 To all mamas everywhere, Om Shanti.